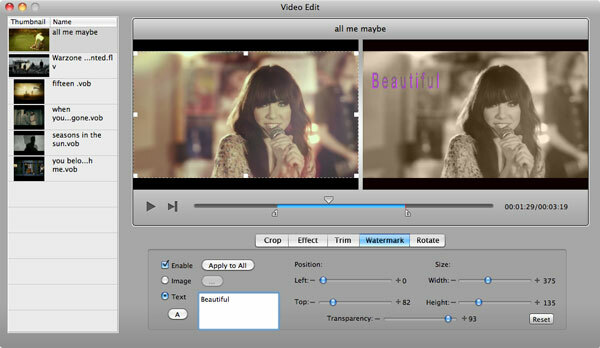 iMovie is a free application provided by Mac for its users. It has awesome features that users can easily get advantage of. With the program you can turn your simple homemade videos into awesome movies. After finishing editing your movies, you are even provided with a lot of options to make your video more enjoyable. You can either save the video to your PC, share it on Facebook and YouTube, or transfer to your iTunes. However, you might feel the need to preserve your videos much better or watch videos on wider screen with your family. To do this, you need to export iMovie to iDVD. Many Mac users find it hard to export iMovie projects to iDVD, for iDVD is not available in Yosemite, Mavericks, Mountain Lion and Lion operating systems for Mac. So you might need an iDVD alternative to make your DVD from iMovie. Here, Aimersoft DVD Creator for Mac (DVD Creator for Windows) is well recommended. This fabulous software will help you burn your iMovie projects including all formats like FLV, WMV, MKV, and MP4, making the process much easier. With its built-in video editor, you can even have fun with the process because it comes with some DVD menu templates allowing you to personalize your DVD videos. The first thing you need to do is export your iMovie projects to your local computer. Then launch DVD Creator and click "+" to add the target video files. All the loaded files will be displayed as thumbnails in the right media library. If you have the need to edit your movie before burning it to DVD, you can click the "Edit" button on the video thumbnail. In the pop-up window, you can either do basic editing or add effects to make you video more attractive. By clicking the "Menu" button, you can also customize your DVD menu according to your preference. This fabulous program offers lots of templates for you to choose from. You can also click "No Menu" if you don't want any menu on your DVD. If you are going to start burning your iMovie to DVD, you'd better make sure that you have inserted a blank DVD to your DVD-RW drive. Then click the "Burn" button on the main interface. When the process is finished, you can freely enjoy your movie. 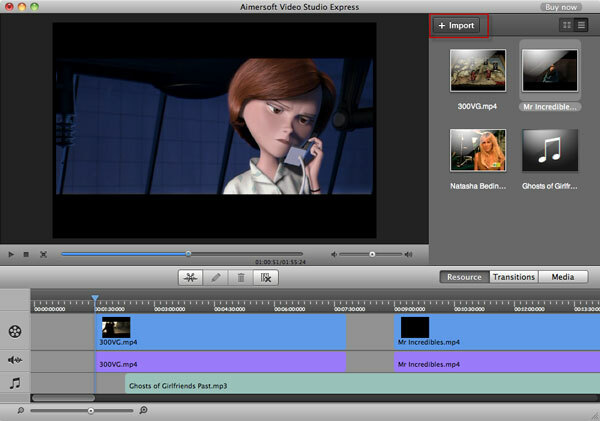 Aimersoft Video Editor for Mac may be acknowledged as the top software for editing videos on Mac OS X 10.6, 10.7, 10.8 Mountain Lion, 10.9 Mavericks and 10.10 Yosemite. In fact, it can be used to convert videos to DVD as well. With only a few simple steps, you will achieve to iMovie videos to DVD without any quality loss. By the way, if you want to burn videos to DVD on your Windows computer, please go for Aimersoft Video Editor.